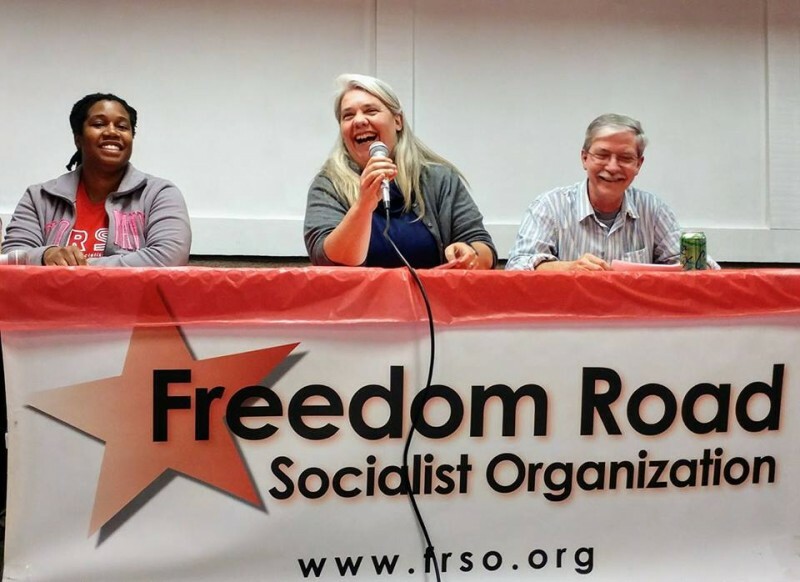 Minneapolis celebrates 100-year anniversary of Russia’s October Revolution | Fight Back! Minneapolis, MN - The walls were covered with red stars and Russian revolutionary posters, as more than 70 trade unionists, community, anti-war and student activists came together here, Oct. 14, to mark the 100th anniversary of the 1917 October revolution in Russia. 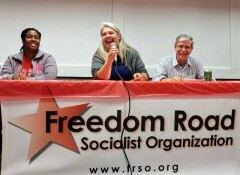 The event was organized by Freedom Road Socialist Organization (FRSO). Sison went on to state, “Most important of all, Lenin led the Bolsheviks in the overthrow of Tsarism in Russia in February of 1917 and then in the overthrow of the bourgeois Kerensky government on October 25, 1917 in order to establish the first durable socialist state on one-sixth of the surface of the earth. The most crucial element in socialism is the class dictatorship of the proletariat defeating that of the bourgeoisie and nationalizing the land and strategic industries, despite the vestiges of feudalism and medievalism, the exigencies of civil war and resistance to foreign intervention and transitory measures like ‘war communism’ and the New Economic Policy.” Fight Back! will be publishing the entirety of Sison’s statement early next week. The final speaker of the evening, Steff Yorek, the political secretary of FRSO, talked about the need to build a new communist party that has the capacity to contend for power. Yorek also spoke the need for the working class to remake all of society. “One of the most powerful lessons of the Russian revolution was an understanding of what we are up against and the need for organization,” said Yorek. The event concluded with the singing of The International.